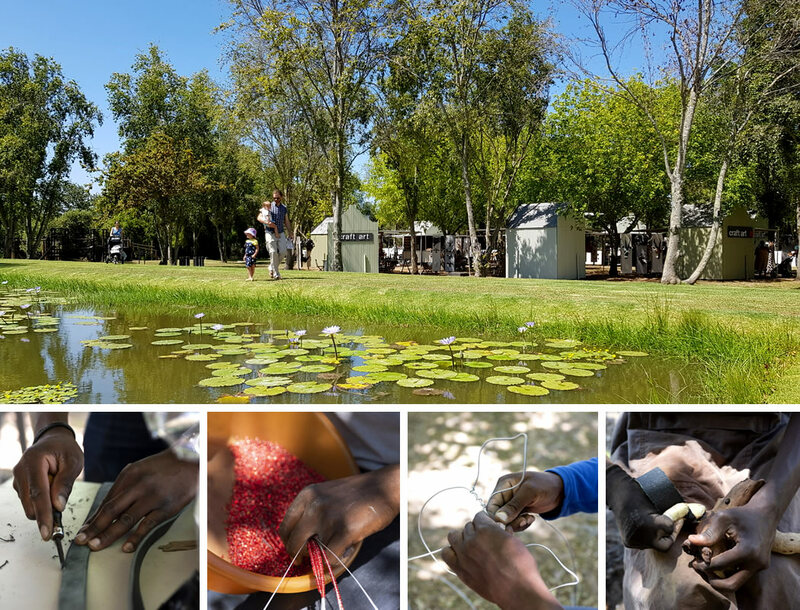 Holidays may be over for most South Africans with the kids now back at school, but we’re still seeing a flow of relaxed holiday-makers at the Craft Market at Spier, albeit those from overseas escaping the European winter and enjoying our summer weather. Now that the December-January holiday rush has eased we have time to look back over the first half of the season. I’m very happy to say that it has been the most successful season to date. This is partly due to the new visibility we have gained from all the landscaping done over the past winter at Spier Wine Farm, giving our shady spot under the trees in front of the Wine Centre an inviting and graceful new balance to the layout. We’ve also got a really good product mix this season, with something for everyone, and the sales patterns are showing that we are selling items across the board from R50 to R7000 and some even larger one-off pieces, so that all our artists are seeing the benefit of increased sales. We’re trading every day for the rest of the summer, until the end of April from 10am till 5:30pm. Visit Spier Wine Farm for a weekend family outing or a mid-week break, and see the artists at work at the Craft Market at Spier while you browse for unique gifts and individual artworks.